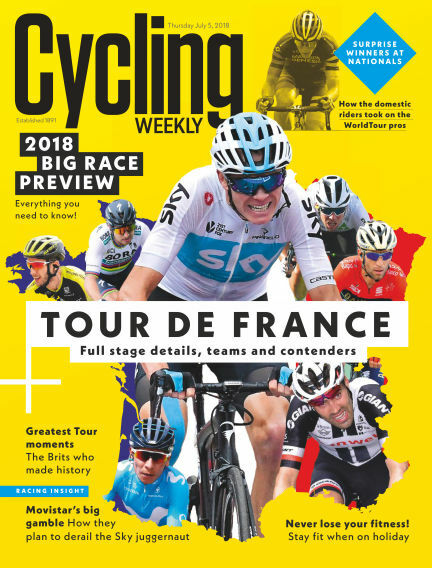 In this issue of Cycling Weekly : Cycling Weekly - in print and online - is the best source of breaking news, race reportage, reliable fitness advice, trustworthy product reviews and inspirational features. First published in 1891, the magazine has an amazing and unrivalled heritage, having been at the heart of British cycling for over 120 years. With Readly you can read Cycling Weekly (issue 5th July 2018) and thousands of other magazines on your tablet and smartphone. Get access to all with just one subscription. New releases and back issues – all included.